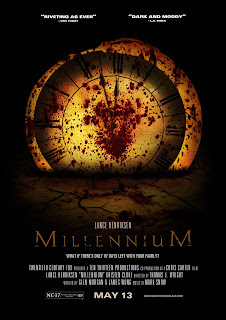 Well, Jussi is back again and this time he has come up with what he thinks could be the Millennium trailer! This was sent along to Lance Henriksen to take a look at and he really enjoyed it! So, after you watch this, please take a moment and leave a comment letting Jussi know what you thought of his work. 8 Responses to "Millennium Movie Trailer?" I really like this. So much of the tone and atmosphere of MIllennium and also some tantalising hints as to what areas this movie might explore. Also, the title cards and credits are a joy to behold. Great job once again, Jussi! I totally agree with everything that was said by Adam. Watching the trailer made me want the Millennium movie even more! Well done Jussi!! Now I'm gonna have to sit here and freeze frame every shot of text... ;) Kudos and well done! Thanks guys! I guess the main point was trying to stir up some emotion, get the viewer excited and remind how hundred times more exciting it will be when the real movie comes! Very impressive. I liked the way Jussi acclimates us to the original tone of the series and reintroduces Frank Black as seen through the eyes of Millennium Group Member X.